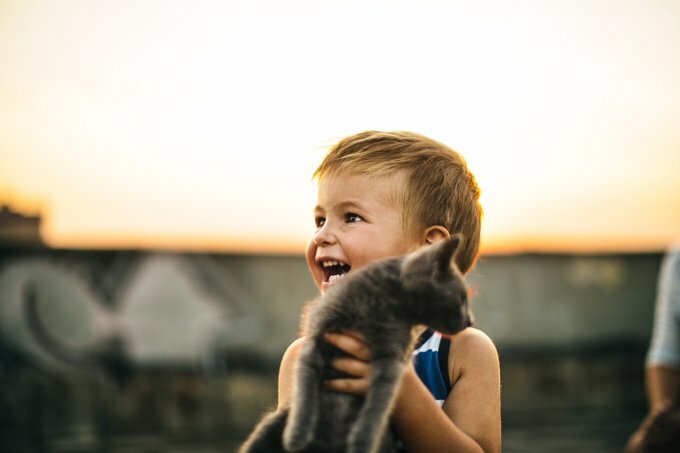 When you have children, especially babies and toddlers, there are many things to consider if you’re thinking of adding a cat to your family. 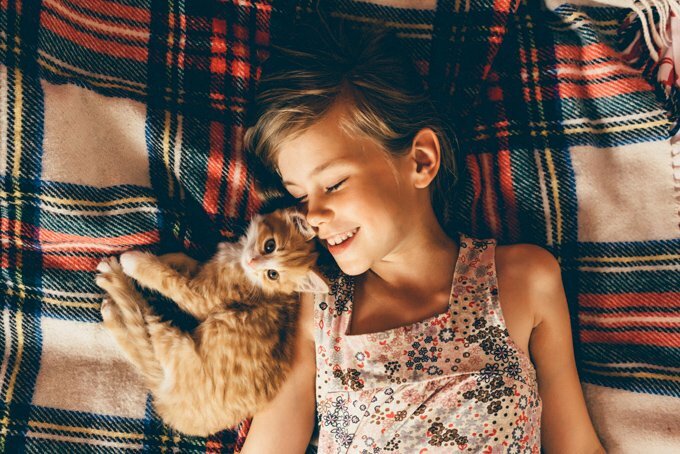 Studies show that children who grow up with pets tend to benefit greatly. A cat needs ongoing love, care and attention for the long haul. 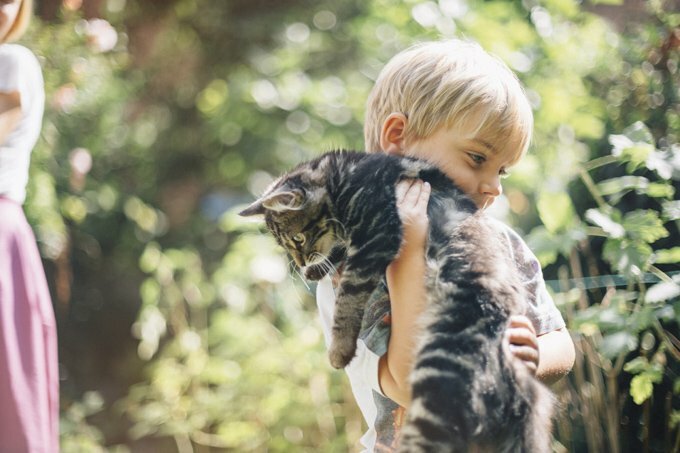 Fortunately, cats make great pets for families with children, but it’s important to make well-informed decisions, especially when children are concerned. Here’s what to consider before brining your new cat home. If you’re adopting, you’re going to want to find a cat that has been kid tested. Many rescued cats live in foster homes with children so they have been tested. A tiny kitten may not be right for a house full of rambunctious kids. An older cat that has more life experience and isn’t as easily startled by the sounds and goings on of a busy household may be the perfect fit. If you’re adopting from a breed specific rescue, take a moment to learn about what breeds are best with children. We have a list of cat breeds that are best suited for family living situations. You will want to come up with a budget that includes; food, litter, supplies, veterinarian visits, pet insurance and funds for potential health issues that may come up that can require some serious cash. Your cat is going to be a lifelong companion. If your living situation is unstable or funds are tight, you may want to wait for things to settle before bringing a cat into the fold. Cats require time, love and attention. Discuss who in your family will be responsible for cleaning the litter box daily, changing the litter each week, feeding and making sure the water dish is clean and full, clipping your cat’s nails and so on, before adopting a cat. If you do not have the time or energy to provide these basic needs, you may not have enough time for a cat. If you have never had a cat before, many adults and children are surprised when they bring a cat home and find out they are allergic to cats. Make sure you’ve spent some serious time with a cat before adopting one. They will crawl all over your bed and pillows and furniture and if you happen to be allergic, this is going to be a major problem. You need to know this BEFORE you have filled out the adoption paperwork. You may want to try fostering a cat on a trial basis to make sure that everybody in the house can deal with having a cat around on a day to day basis. Be sure to educate your children and everyone living in your house about cats and what to expect. 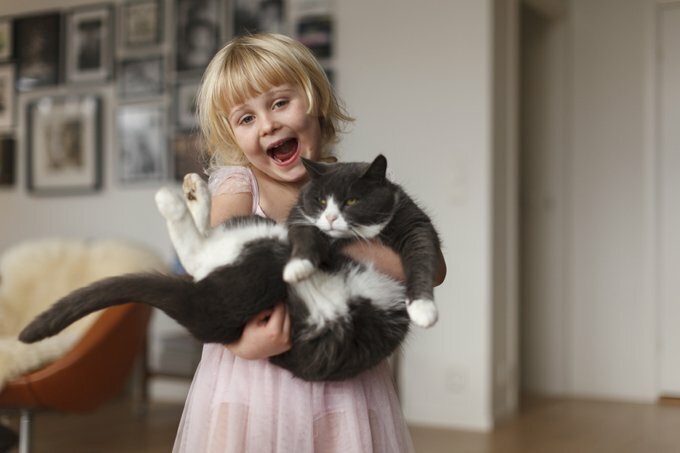 Discuss how to play with the cat safely, what cats do and don’t like, what foods are toxic, and set boundaries so that everyone will have a long, happy, healthy life together! If you are a mom or dad, we’d love to hear from you as well. What are some other things parents should consider before brining a cat into their family?